The largest of the Greek islands, Crete sits in the gleaming Mediterranean just south of the mainland. Known for its crystal clear waters and varied beach textures, Crete is a perfect holiday destination for both relaxation and cultural adventures. Crete, as you’d imagine, plays a part in Greek mythology as it’s said that Zeus, the Greek god of sky and thunder, was born in Ideon Cave which can be found atop Mount Ida located at the heart of the island. Venturing outwards, Crete has an abundance of visually stunning landscapes and historical attractions including Venetian towns, medieval castles and Byzantine monasteries. 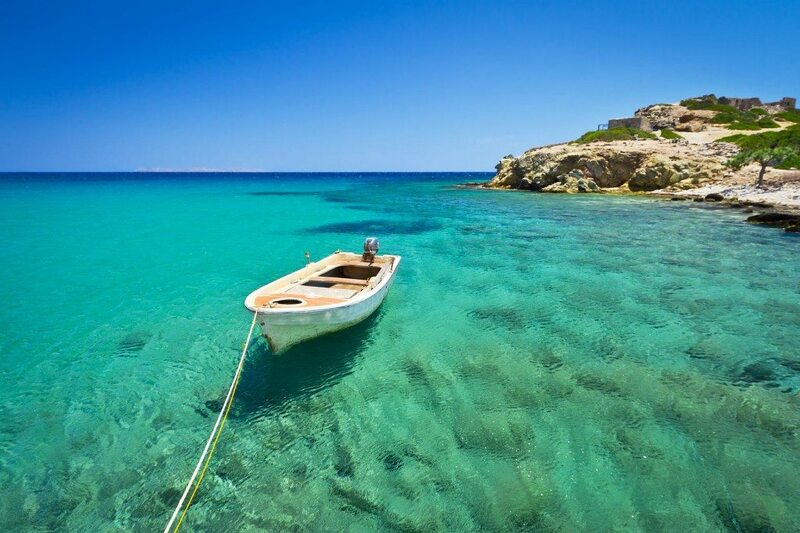 With an average summertime temperature of 25°C (May-September) Crete is a pleasant summer holiday destination with plenty of turquoise sea to cool off in after a day of sun worshipping. Alternatively, Crete offers a range of sites to explore whether they’re under the sea or on the shores. 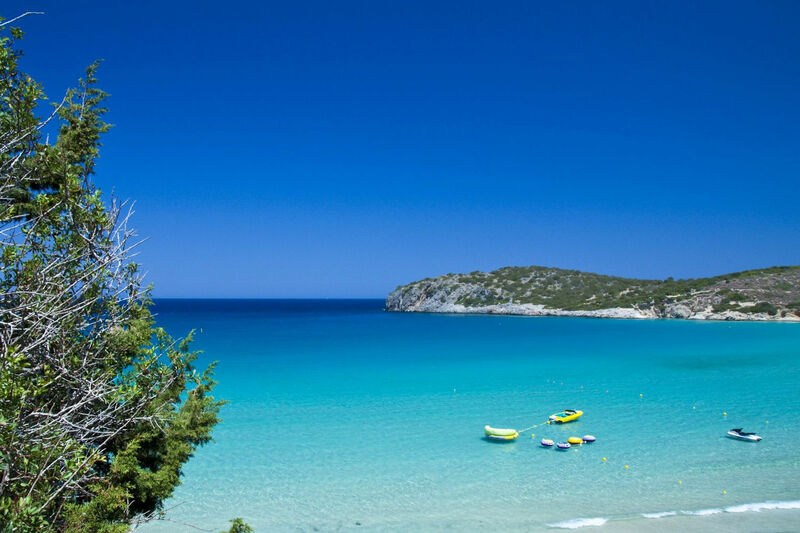 Through winter and spring (October-April) the average temperature of Crete is approximately 15°C which means there’s no need to be stuck in the bitter British weather during the colder months. So now you know the basics, here’s a rundown of some of our favourite things to do in Crete. Located on an eastern coast of the island is Agios Nikolaos, a unique town with more to offer than meets the eye. 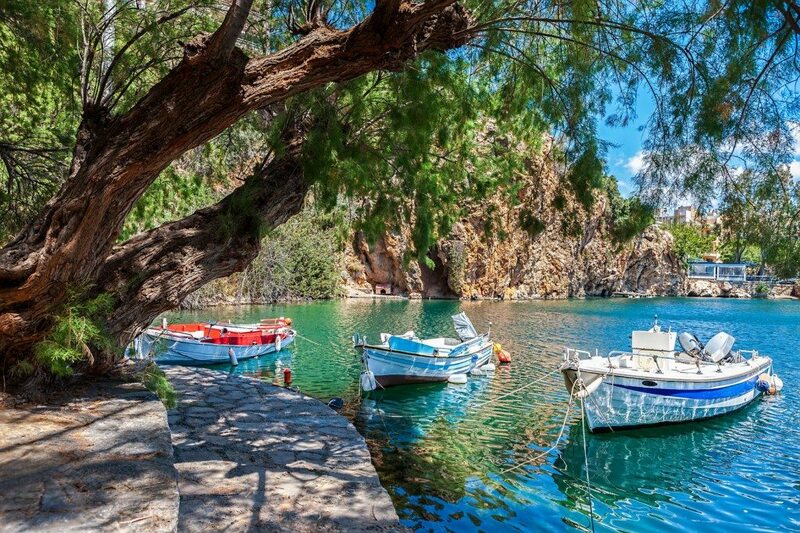 The town is home to a lake known as Lake Voulismeni (‘sunken’) which connects to the Mediterranean Sea. It is said there was a time when Athena, the goddess of wisdom, bathed in the lake. Now it is surrounded by cafés and restaurants and is the ideal location to sit and enjoy Greek cuisine while gazing upon the still waters. By night, the rock faces are illuminated and cast a picturesque reflection over the lake, offering a delightful backdrop for evening drinks. 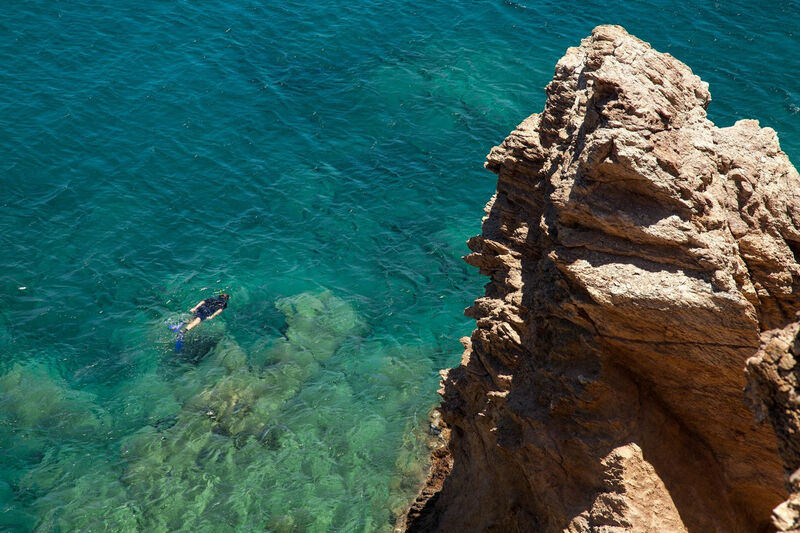 In the town of Agios Nikolaos is the opportunity for some scuba diving. Whether you’re a beginner or an experienced scuba diver, there are dive locations to suit every ability. In particular, the Kamini dive location inhabits creatures from small fish to octopi as well as some expired bomb shells. Scuba diving in Agios Nikolaos is available through Creta’s Happy Divers. There are more than 25 diving sites around the Mirabello gulf to explore and PADI courses for those who want to advance their diving abilities. It’s advisable to get in contact with Creta’s Happy Divers through their website beforehand as prices are available on an enquiry basis. 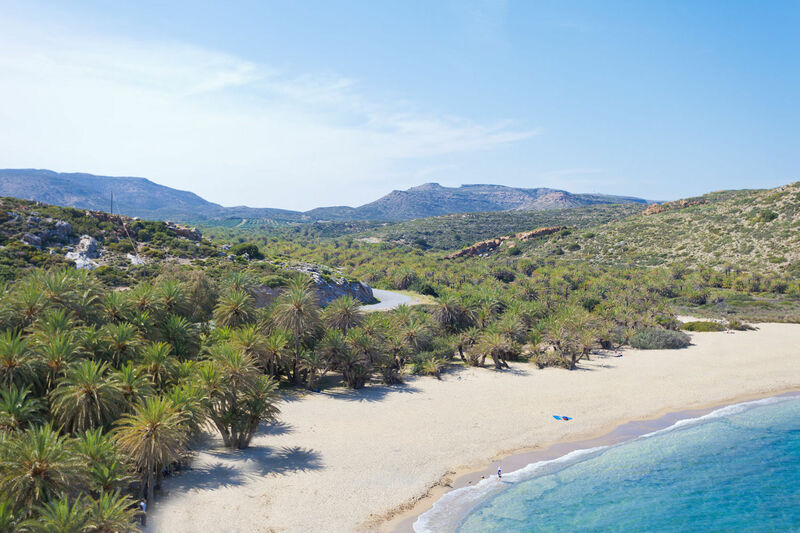 Crete is widely known for its array of beaches. From soft sand to pebbles, they are full of character and great spots for photo opportunities. Vai Beach makes an excellent day trip away from your hotel, although it’s advised to arrive early as the popular beach can get busy in summer and once you’re there it’s easy to see why. Once a hippie beach in the 1970s, Vai Beach is now a conservation area home to the largest natural palm tree forest in Europe. Water sports equipment such as jet skis (approx. 40€ for 15 minutes) and pedal boats (approx. 15€ for 60 minutes) are available to rent from Natura Water Sports. Although Vai doesn’t have a village associated with it, there is a chance to refresh yourself at Restaurant Vai which sits on the beachfront. There you can sample traditional Cretan cuisine such as Moussaka and grill cooked meats served with a traditional lemon and olive oil sauce, ‘ladolemono’. Myrtos or Mirtos is a small coastal village located on the southern shore of Crete. With protection from the wind, Myrtos beach is perfect for catching the sun. The village offers a great balance of Greek authenticity and convenient amenities such as restaurants and all kinds of shops. If you’d like a meal with a view, a selection of cafés along the seafront serve traditional cuisine which is the perfect accompaniment to the serene landscape of sea and sky. About 12km south from Agios Nikolaos is the town of Istro or Istron. This beach resort is home to the sandy Voulisma Beach or ‘Golden’ Beach situated on the east side of the town. The clear turquoise waters are a delight to swim in amongst excellent scenery and the beach itself is well organised. Sun beds and parasols are available for hire, payable locally, as well as toilet facilities for your comfort. Should you be driving, there is a free car park next to the beach. For those interested in historical events this site is an absolute must. 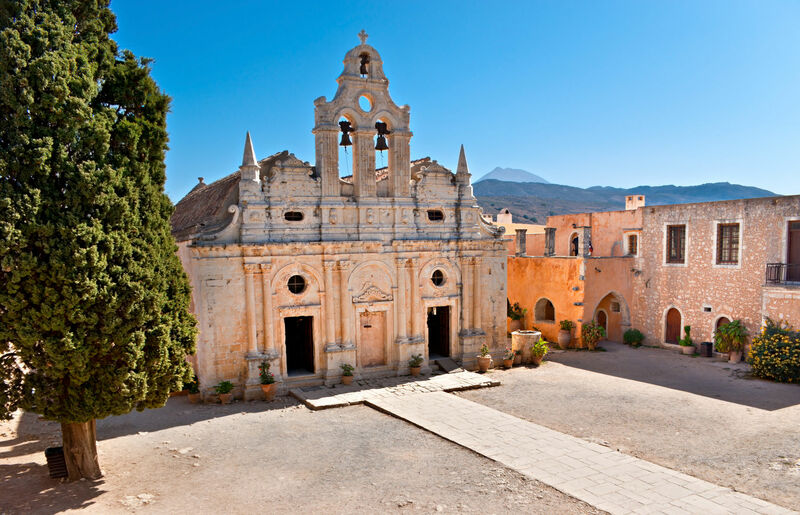 Completed in 1587, Arkadi Monastery is of Venetian design and is dedicated to Saint Constantine. Arkadi is one of the most important architectural monuments on the island as it is known as a symbol of Crete’s liberation. In 1866, the Monastery became the Cretan rebels’ headquarters as they attempted to regain control of Crete from the Ottoman Empire. Knowing the Ottomans would attack, the Cretan rebels decided to go to the gunpowder storage room along with their refugees of more than 600 women and children. Once the Ottomans had stormed in, the rebels lit the gunpowder, sacrificing themselves but also over 1,500 members of their enemies. This act won support from other countries for Crete’s independence and in 1913 Crete was united with Greece. Today, Arkadi Monastery welcomes visitors to learn of the history that took place there and gaze upon the beauty of the monastery. There’s a museum offering the full background history and a gift shop for souvenirs of your visit. Atop a hill, the views are beautiful but a hire car or public transport are recommended in order to access the site. Entry fee is approximately 2€. 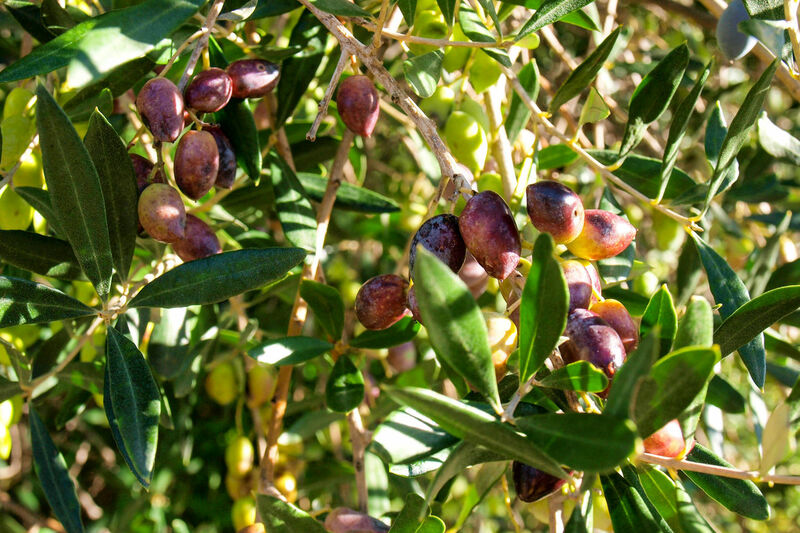 Whether you’re interested in learning about local culture or a foodie simply wanting to tuck in to some free samples, the 135 year old Cretan Olive Oil Farm is a splendid day out. Located in Agios Nikolaos, the family-run traditional farm is a pretty sight which can be enjoyed in the sun as you partake in multiple activities. A guided tour takes you around the gardens, traditional wine press, olive farm and Cretan bee-keeping corner. The tour is followed by a tasting session of more than 30 different homemade products. The tour is 5€ per person on the day and 3€ online. Children up to the age of 12 go free. Ceramic lessons teach you the Minoan influenced art of professional pottery in Crete. Take home a one of a kind souvenir as you get stuck in making your own pot from scratch and learn the basic skills of a pottery wheel. Classes cost 5€ per person on the day and 4€ online. Or get involved in a Cretan interactive cooking class and try your cooking skills at making traditional dishes. Choose from dishes such as Dolmades and Tzatziki, Snails with Cretan dakos or Cretan handmade pasta (skioufihta) with Cretan gruyere. Then gain satisfaction from tucking into the beautiful meal you’ve prepared with authentic ingredients and methods. Cooking lessons cost 6€ per person. If you’re interested in exploring seas, relaxing on picturesque beaches and absorbing local culture, finding a comfortable hotel is your first port of call. St Nicolas Bay Resort Hotel & Villas is in a great location with fantastic views of Mirabello Bay. Located two kilometres from the heart of Agios Nikolaos, St Nicolas Bay offers a luxurious stay with access to a private beach. Most suites feature private heated pools which are accompanied by panoramic sea views. The Poseidon Spa at St Nicolas Bay has a range of treatments all created to revitalise and rejuvenate as you relax and take in the serene surroundings of flower-filled gardens and crystal clear seas. If you’ve had the pleasure of visiting Crete before, let us know your stories in the comment section below! If you’d like to return to the island or visit for the first time, get in touch with our travel experts on 0800 047 1066 and book your luxury holiday. For personalised luxury, look no further.